It is also bizarre for PE to do this! This new three board PE suffered huge losses last year. [PE is also bizarre to do this! This new three board PE last year's huge loss] April 11th, the New Third Board listed private equity investment investment announced in the 2018 annual report shows that the company's operating income in 2018 was -60.54 million yuan, compared with 15.56 million yuan in the same period last year; net profit is - 96.71 million yuan, compared with -26.77 million yuan in the same period last year. April 11th,Three new boardListingPrivate placementThinking about the 2018 annual report released by the investment shows that the company in 2018Operating incomeIt was -60.54 million yuan, compared with 15.56 million yuan in the same period last year;Net profitIt was -9.67 million yuan, compared with -26.77 million yuan in the same period last year. Yes, you are not mistaken. In 2018, thinking about investment not only has huge losses, but even business income is negative! As a private equity firm, thinking about investing mainly through being hired as an investment consultantFund issuanceThe management agency provides investment advisory services and obtains investment advisory service fee income. At the same time, the company conducts relevant investments within its business scope through its own funds. 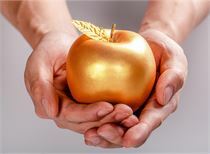 In 2018, the investment income of investment was reduced to 60.54 million yuan, and the net profit after deduction was -96.71 million yuan, a significant decrease from the same period of the previous year. 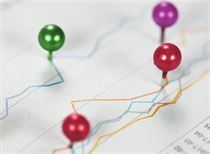 The annual report also showed that the number of employees thinking about investment dropped from 38 in the same period of last year to 15 people, including 11 in the industry research department and 8 in the market service department. By the end of 2018, there was only one employee left. The negative operating income is not the first case in the New Third Board. 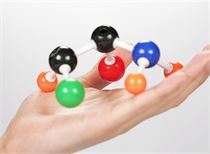 In 2017, the revenues of four companies including Junhui Environmental Protection, ST Xuan Ai, Ze Sheng Technology and Ink Pharmaceuticals were negative. Under normal circumstances, the negative revenue may be that the products originally sold by the company are returned for various reasons, or the items that should not be recognized as income are recognized as income, and then returned. Thinking about investment, the main reason for the decline in the company’s operating income is the “Listed Company” issued by the China Securities Regulatory Commission on May 27, 2017.shareholderThe formal implementation of certain regulations of the Board of Directors of the Board of Directors ( No. 9) and the changes in the implementation standards and regulatory environment of the securities market supervision department, the company and the licensed finance regulated by the “one line and two sessions” The investment rate of institutional investment products in the form of white-listed investment consultants decreased during the reporting period. In addition, the company's original major investment strategy "big dealThe time horizon of the investment strategy has been greatly extended, and the strategic income tends to decrease. At the same time, the original “fireworks strategy” also needs to be adjusted according to changes in the regulatory environment. 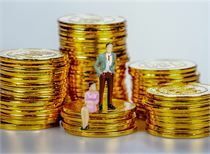 According to the annual report, the income from investing in investment management business in 2018 was 10.9 million yuan, roughly the same as the same period of the previous year, but privatelyfundInvestment income was -71.89 million yuan, compared with 2.042 million yuan in the same period last year. Obviously, the loss of thinking about investment is mainly caused by the loss of its private equity fund. 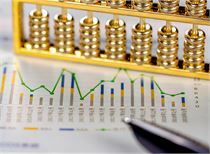 According to the annual report on investment, a total of 23 funds were liquidated in 2018, of which 20 net worth less than 1, that is, the loss was liquidated. The lowest net worth of “China Resources Trust·ICBC Quantitative Hengsheng Select Class D 59-stage Collective Fund Trust Plan” was established on February 13, 2017, and was liquidated on March 13, 2018 for only one year. Its net worth is only 0.6146, the return on investment is -36 million yuan. The only few unloss funds have a net worth of just over one. For example, the “Tianqin No. 1 Single Fund Trust” was established on November 18, 2016. The investment income is only RMB 728,000. In addition, in 2018, thinking investment has released 5 investment products liquidationannouncementWithout exception, they are all losses. Among them, on June 29, 2018, the investment announcement was received.Changan FundThe Chang'an-CITIC Bank's equity strategy Phase 1 Asset Management Plan liquidation report was issued. 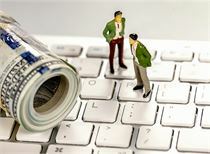 The fund raised by the asset management plan was 251 million yuan, of which the investment was invested 1 million yuan. 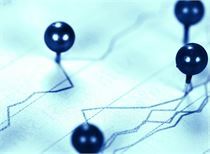 By the time of liquidation, the net value of the asset management plan was 0.8069 yuan. 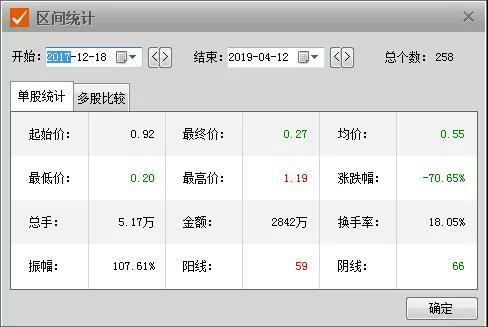 Considering the investment, the investment consultant fee was 242,800 yuan, the liquidation was 806,900 yuan, the principal loss was 193,100 yuan, and the replenishment loss was 24 million yuan. On April 10, 2018, the thinking investment announcement received the Golden Valley Thinker 1 Sunshine Private PlacementStock investmentThe fund trust plan clearing report was established on August 12, 2016 with a term of 18 months. The fundraising amount was 30.3 million yuan, of which 8.6 million yuan was invested in self-owned funds. On the liquidation date, the net value of the trust plan is 0.7837 yuan. The investment advisory fee for the investment is 242,800 yuan, and the company's principal loss is 8.6 million yuan, which is equivalent to “return to zero”. 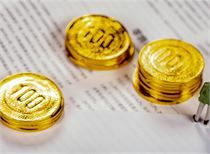 By December 31, 2018, there were a total of 18 funds under consideration for investment, and the total amount of funds subscribed was about 1.658 billion yuan, and the total amount of paid-in funds was about 1.774 billion yuan. On December 15, 2017, eight listed private placement institutions, including thinking investment and Zheshang Venture Capital, also issued verification reports. The announcements show that these eight institutions are in compliance with the self-inspection and rectification requirements of listed private placement agencies. The two listed companies that did not meet the requirements for self-inspection and rectification of listed private placement institutions were forced to terminate the listing by the stock transfer company. This announcement caused an uproar at the time. More than a year has passed, and China Merchants, which has been forced to delist, is still deeply involved in disputes with investors. In June 2018, China Merchants even attracted investment.Shareholders' meetingThe venue problem was forced to hold a shareholders meeting on a bus. Other private equity institutions that remain in the New Third Board have not been better in the past year. In addition to thinking about investment, Jiuding Group's net profit in the first three quarters of last year also fell sharply. Thinking about investment since December 15, 2017, the stock price has fallen by 70.65%. The total turnover in 258 trading days is only 28.42 million yuan, with an average of only about 100,000 yuan per trading day. In terms of fundraising, the “Notice on the Relevant Issues Concerning Self-inspection and Rectification of Listed Private Equity Institutions” issued by the Share Transfer Company in 2017 clearly stipulates that the fund industry association is registered as a listed private placement institution of a securities private equity institution (a private equity investment fund manager). It is not allowed to raise funds through the national share transfer system. Thinking about investing has been 3 times in 2015Additional issuanceIn total, more than 300 million yuan was raised, and after 2015, there was no additional investment in thinking about investment.